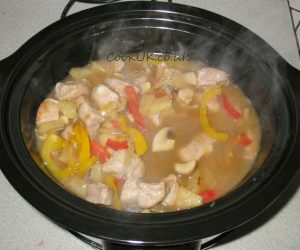 Lots of hints and tips to help make the most of your slow cooker. 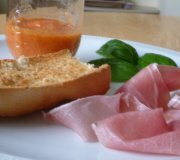 Links to pages on specific techniques for slow cooking. Those new to using a slow cooker will have lots of basic questions about how to use their slow cooker. For the more experienced users of slow cookers there will still be questions about specific techniques. This section aims to answer those questions. If you have any questions which are not answered in this page then send a comment using the form at the bottom of the page and your question and our answer will be added to this page. Slow cookers typically have a high and low heat setting, many also have a medium setting. Generally it is accepted that the low heat setting will heat food to 77°C / 171°F and the high setting will heat food to 90°C / 194°F. The medium setting will heat food to somewhere between those two temperatures. Some slow cookers also have a keep warm setting which automatically comes on when the cooking time has finished. This is designed to keep the food at the correct temperature for serving but hardly cooking it any more. The keep warm temperature is around 74°C / 165°F. These are the average temperatures, different slow cookers will have minor, and sometimes considerably different, temperatures. A "safe" food temperature which should kill bugs is 74°C / 165°F and anything below this temperature begins to be suspect as far as food safety is concerned. There is a huge amount of information on the internet about safe food temperatures and they vary wildly. BUPA recommend 70°C / 158°F (see here), the Food Standards Agency recommend a variety of temperatures as can be seen here and the NHS simply recommend cooking food until it is piping hot without any definition of what temperature that is. Stick to 74°C / 165°F or higher and according to available advice you will be safe. However, life is never simple and neither is slow cooking an exact science! The real truth is that slow cookers have no idea how hot the food is, they simply have a heating element which works on different wattage levels for the different settings. The manufacturers have of course tested out what watt level will cook the food at the desired temperature but there are many other variables which will affect the temperature of the food. The temperature of the kitchen is one factor as is the electricity supply. To confuse matters even more, the heating element of a slow cooker is normally at the base of the unit and occasionally around some of the sides. So whatever is cooking low down in the slow-cooker will be at a higher temperature that food in the middle of the pot. The sides are also hotter compared to the middle which explains why liquid around the edge of a slow cooker is bubbling when the central part is not. Different slow cookers use vastly different amount of electricity but an average 3.5 litre slow cooker is likely to use about 130 to 200 watts depending on the heat setting. An average electric oven (again these can vary wildly) uses about 4,000 watts which is about 20 times the electricity of your average low cooker. On that basis a slow cooker is much cheaper to use compared to an oven. Gas ovens will be cheaper than electric ones but are still far more expensive compared to using a slow cooker. If you cook on the top of the oven, the hob, a typical energy consumption would be 1,000 watts on medium. There are many variables when comparing cooking on the hob to cooking in a slow cooker but my rough calculations show the hob method to use three times electricity. IS IT SAFE TO USE MY SLOW COOKER WHEN I AM AWAY FROM HOME? To avoid giving any potential wrong advice the first rule is to read and follow the instructions which came with your slow cooker. I have seen one manual which says not to use the slow cooker unsupervised. Having said that, the vast majority of slow cookers are safe to use when you are away. The other reason which is often quoted for browning meat is that it improves the appearance. this is true for some poultry and white meat dishes but beef and lamb will turn brown from the juices in almost all slow cooker recipes. So there is no need to brown meat at all before slow cooking except that it can improve the colour of poultry and lamb in some cases. Browning meat involves frying it for a relatively short period of time before adding it to the slow cooker. It is sometimes said that this improves the flavour but we have never found this to be true when cooked in a slow cooker. Indeed, browning meat often releases slightly carcinogenic substances. The one exception we have found to the above is minced meat dishes, mainly beef, lamb or pork. If mince is added direct to a low cooker it can often stay in clumps rather than separating into individual strands. It is often better to "brown" minced meat because this gives you the opportunity to separate it out in the pan as it is cooking before adding to the slow cooker. Again, read the instructions for your slow cooker for this information. If you have no instructions then fill it up to two thirds full. For us personally, we feel that three quarters full is OK but that's just our personal opinion. SOME VEGETABLES ARE UNDER-COOKED, WHY? It sounds wrong but many vegetables such as carrots, swede, potatoes and others take longer to cook in a slow cooker than the meat. One simple solution to this is to layer the vegetables around the base and sides of the slow cooker where they will cook quicker. If that doesn't do the job then make sure your vegetables are cut into smaller chunks / slice which will result in them cooking faster. This a very useful feature on some slow cookers. It starts the slow cooking process on high to bring the food to the correct temperature quicker and then after an hour or so automatically turns the cooking temperature to low. The effect is to speed up the cooking process but still allow slow cooking for the majority of the cooking time. The quick answer to that is because it contains too much liquid (water, stock, wine etc). Slow cookers do not allow much water to evaporate when cooking so they require less liquid than the equivalent recipe cooked normally. Next time add less liquid. A quick method to thicken up a meal in a slow cooker is to mix cornflour (cornstarch) with a little water until it becomes a loose paste and then stir it into the slow cooker (turn it to high). Do this gradually until the sauce is of the correct consistency. It's not recommended by many but in the absence of cornflour (cornstarch) we have very lightly sprinkled flour into the sauce and stirred continuously. It seems to work fine for us but others say the flour will cause the sauce to go lumpy. Just sprinkle it finely over the surface while stirring and we reckon you'll be OK.